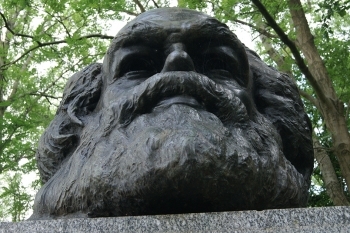 The two-hundredth anniversary of Marx’s birth coincided more or less with the tenth anniversary of the worst economic crisis of global capitalism in living memory. This has been followed by failure to renew sustained growth and universal pessimism over the prospects of avoiding yet another financial crisis and economic disaster. This all raises what insights Marxist political economy can offer to explain the current malaise, and to what extent Marx’s own thinking remains insightful more than 150 years since he published the first volume of Capital. These themes will be taken up in a lecture that also addresses the decisive role being played by ‘financialisation’ in the global and national economies, and in our daily lives. Ben Fine is Professor of Economics, at the School of Oriental and African Studies, University of London. He is co-author of Marx’s Capital, Pluto Press, now in its sixth edition, and has previously been awarded the Deutscher Memorial Prize and the Gunner Myrdal Prize for other books. Cemetery stonemason Neil Luxton leads a day's course on basic stonemasonry techniques. 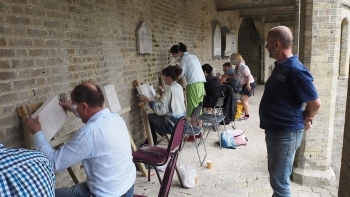 Starting with a tour around some of the West Cemetery's monuments to see some notable examples of stonemasonry, Having supplied you with a stone slab and tools, Neil will help you with your design. You will then be taken through the techniques you need to be able to carve your design into the stone, and off you go... Throughout the afternoon, Neil will keep a close eye on your progress, giving advice and showing you exactly what you should be doing. You will end up with a carving you can take home.